You are here: Home » Poetry Contest? You Can! You Can! Poetry Contest? You Can! You Can! Earlier this year, I shared a few stories about homeschooling students with special needs who have done quite well in past HSLDA Contests. Today, I am pleased to introduce you to Beth Lossing. Beth is mom to Sophie, Mia and Jonathan. As you will discover, all three of these precious children have special needs. She has written about how they approached participating in the HSLDA poetry contest. Entries for the contest are now being accepted. You can make submissions until May 1st. If your struggling learner would like to enter, but you’re uncertain about their participation, I invite you to be inspired by the Lossing family’s experience. The HSLDA poetry contest has become a yearly tradition in our household the past few years. We happened across the HSLDA poetry contest announcement online during our third year of homeschooling, and it piqued our interest. One of the first barriers to participating I personally had to overcome were my insecurities as a homeschool mother. It sounded like a wonderful opportunity, and yet I had no reason to believe we would have the skill necessary to compete. 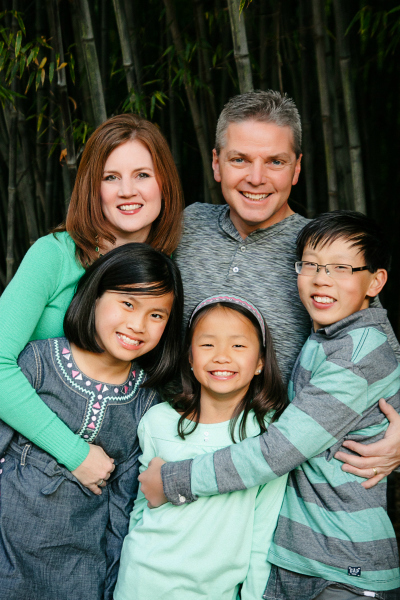 After all, I was homeschooling three beautiful special needs children, some with medical needs, at least one with emotional and processing differences, all adopted from China, and one adopted with no English or schooling until the age of seven. How would we measure up? It seemed foolish to set ourselves up for the disappointment of loss. Then again, if the process of writing and creating something original is a beautiful gain, then the recognition is secondary. We decided to give it a try. Our family of five uses the Charlotte Mason approach to homeschooling. We love our read-alouds of the Bible, living books, and poetry. We read together and often! When attempting the contest for the first time (and even the second and third), the children’s writing skills were largely undeveloped. We had been relying heavily on oral narration as a means to compose and test each term in our schooling. We hadn’t pored over the mechanics of writing, studied poetry meter and rhyme, or spent countless hours writing and editing personal narrations. Not to mention, my non-native English-speaking son had spelling and grammatical challenges to overcome. Our family simply had a habit of enjoying poems once a week during our school day. In addition, the children would occasionally memorize a poem for a recitation night during some terms. This spurred on a love of poetry and performance in each of the children. Even so, we appeared to be ill-equipped with no poetry writing experience of which to speak. A second barrier was deciding where to start. Much to our surprise, my youngest daughter Sophie’s first attempt at a simple four-line poem won a third place recognition in the contest. At age seven, she created “The Woods” through oral narration and then typed it for submission as I read it back to her. Our writing process was simple and straightforward. I decided to talk to the children about the contest and presented the model poems and themes for that particular contest year. Then I set the expectation that we would be setting aside some time in the coming days to compose a poem or two. A few days later, I asked the children to come to me one at a time as I poised expectantly in front of the computer, ready to type. Sophie sat down and said, “Mom, I want to start with, ‘The sun dawns. The river rushes.’” Wow, beautiful. She spent a little more time that day adding the final lines and a second day making some tweaks. She was enjoying it so much that she decided to rattle off a few more poems in a similar manner and submitted three entries for the contest that year. As a side note, Sophie is a child who comes from a very hard place. Homeschooling her has not been without its challenges. I have had to temper my academic “expectations” of her and adjust to what seems reasonable to expect from her. And yet, what a sweet gift from God to allow her to create something of beauty, from the heart, to rise above her daily processing and behavioral challenges and shine in an unexpected way! I am so thankful we seized the opportunity to try something new, to allow space to succeed or fail, to enjoy the writing process together. 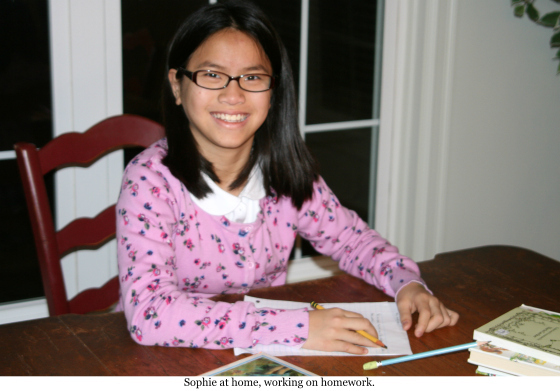 Similarly, in 2013, my older daughter Mia, age 10, received an honorable mention for her poem “The Elephants’ Lunch” and Sophie, age 9, was a finalist with “Heaven”. The writing process was the same, and I am confident that using oral narration as the first step in the writing process enabled them to write at their best. Mia modeled the style of her poem from one she especially liked in “Favorite Poems Old and New”, selections by Helen Farris, which is one of our favorite poetry books. She coupled that format with research she did online to find out what elephants eat. I have observed that my children “come alive” when they create something, with God’s help, either through performance or writing something original or even taking photos. A glimpse of their uniqueness and creativity emerges and we get to witness the glory of the Lord in their precious lives. Sometimes all it takes is an opportunity, a challenge to try, which is what HSLDA offers each year through their contests. I am thankful for the inspiration that HSLDA gives us each year to write poetry, to photograph, to create. By participating, all three of my children have been encouraged to grow and develop in ways they might not have if they had not been given the opportunity to try. This is an arena where special needs children can be encouraged to use their creativity to express themselves in rewarding ways. Will just one of you pick something and that I will bring? “Fruit, fruit, fruit,” they all cried! “Here, here darlings,” she said with a sigh. I imagine up in heaven there are angels in the clouds. Blowing their trumpets so very very loud. I imagine Jesus coming down to me one stormy night. He brings me up with Him and dresses me up in white. He comes down in a red chariot with flames. And lightening flashes all around, here comes the rain. The light reflects through the clouds like a colorful piece of art. We all celebrate that Jesus is alive. And wave palm branches from side to side. And one by one the angels sing in praise. We sing Halleluiah and our arms we raise. The beauty of heaven is meeting everyone. By dying and going up to heaven, my new life has begun. Seeing old friends and new friends, our lives will never cease. Jesus is alive forevermore, and Jesus is our Peace. Photo Credit: Photos from the Lossing Family. First photo of the Lossing family; second photo of Sophie Lossing; third photo of Mia Lossing; all photos edited by Charity Klicka.